The ESPN FC panel debate the impact of Harry Kane's expected absence for the rest of the season on their hopes of finish in the top 4. Mauricio Pochettino has said Tottenham have lost Dele Alli at "one of the worst moments" with the midfielder out until March. With Harry Kane also expected to miss the same period due to ankle ligament damage, and Son Heung-Min away at the Asian Cup, Spurs are without three key attacking players as they prepare to play four matches in the next 10 days, starting with Thursday's trip to Chelsea in the second leg of the Carabao Cup semifinal. 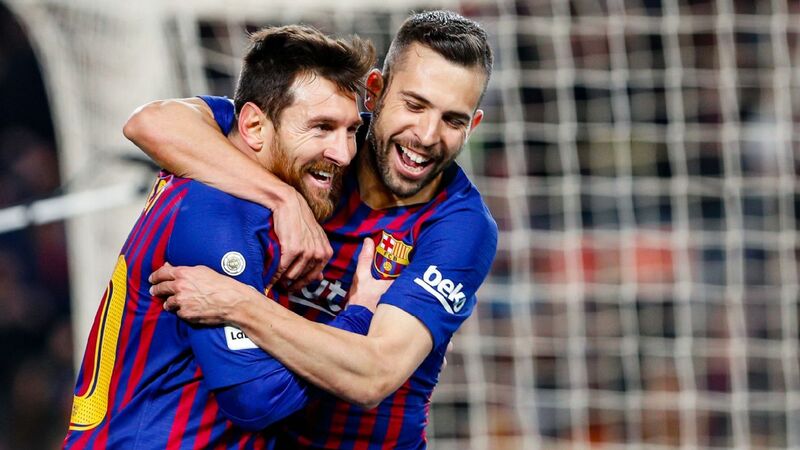 Lionel Messi and Jordi Alba combined again vs. Leganes, once more showing their unique understanding of one another. 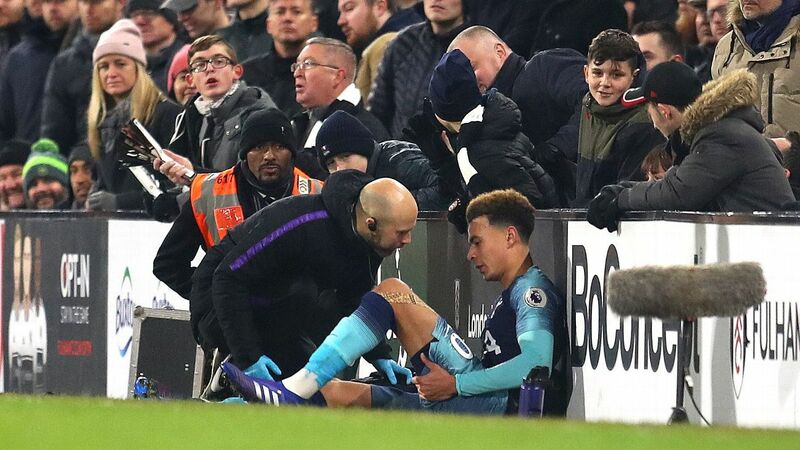 Tottenham have been hit with another hammer blow after scans revealed that Dele Alli is set to be sidelined until March with a hamstring injury. Spurs announced last Tuesday that Harry Kane would miss around two months after suffering ankle ligament damage. And, exactly one week on, they have now confirmed the loss of another key attacking player for the same period. Tottenham boss Mauricio Pochettino said he is concerned by Dele Alli's injury after seeing the player substituted clutching his left hamstring in the victory against Fulham at Craven Cottage. 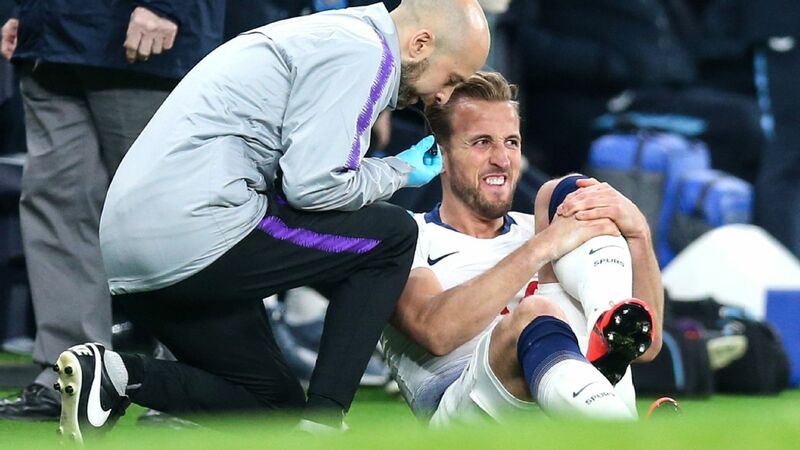 Spurs, who won 2-1 thanks to a stoppage-time header from Harry Winks, are already without Harry Kane for two months after scans confirmed ankle ligament damage. Son Heung-Min is in Asian Cup action this month leaving Spurs short of numbers ahead of a midweek Carabao Cup semifinal second leg against Chelsea. Goals from Son Heung-Min and Dele Alli sealed Tottenham's progression into the Carabao Cup semifinals over rivals Arsenal. Arsenal say they have identified an image of the fan who threw a bottle at Dele Alli during Wednesday's Carabao Cup game against Tottenham, and are working with Metropolitan Police to apprehend the suspect. The club also apologised to Alli and said "we have all been embarrassed by the individual" who threw the bottle, which hit the Spurs midfielder in the head shortly after he had scored the second goal in Spurs' 2-0 victory.